1. 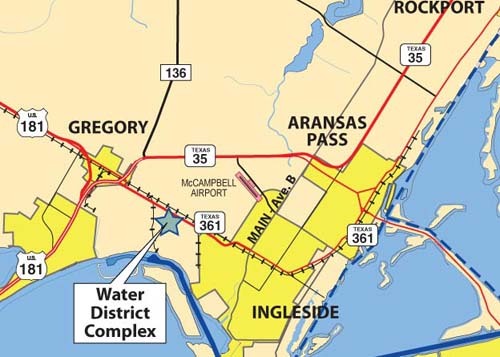 Start at Aransas Pass and travel on SH 361 or Avenue B to where SH 361 and Ave. B/Main Street intersect at the middle of Ingleside. Travel a total of 2.7 miles to your destination. 2. 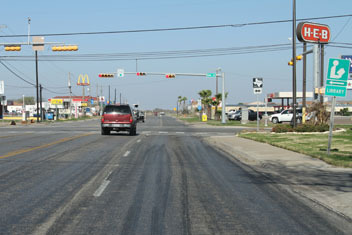 Continue northwest on SH 361 in front of the HEB. 3. 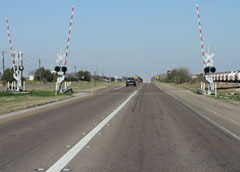 Cross the Union Pacific Railroad tracks and follow as SH 361 makes a gentle S-curve. 4. 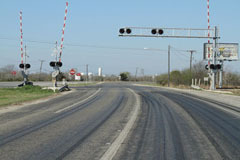 Cross the OxyChem rail spur. 5. 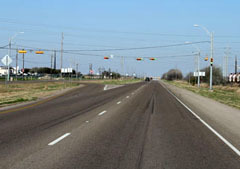 TURN LEFT at the signalized intersection at the entry road to OxyChem, Chemours, Air Liquide and Ingleside Cogeneration. 6. Head south 250 yards to the Water District entrance and security gate on your right. 7. At the security entrance use the call box to request entry. Visitor Parking is in front of the district office building whch is to your left just inside the gate.